King Island is anchored in the middle of the Bass Strait between Victoria and Tasmania’s North West coast. Surrounded by some of Australia’s most beautiful beaches, King Island imports the world’s best surfers and exports produce sought by the world’s top chefs. Succulent beef, rich gourmet cheese and crayfish plucked from the Island’s crystal clear waters are but three of the delicacies you can enjoy on your visit. While the prospect of unwinding in this quiet, peaceful paradise may be what attracts our visitors it is the people they meet while here who encourage their return. 9:30am Arrive into Vortex Air hangar and be greeted by the team. Address is 2 Third Street, Moorabbin Airport. 10:00am Board your aircraft and depart to King Island Airport. 10:45am Arrive into King Island. Meet your driver at the arrival hall and depart to Ocean Dunes. 11:30am Arrive at Ocean Dunes and grab a bite to eat and warm up before your round. 12:00/12:10/12:20pm Tee off at Ocean Dunes Golf Course. 5:30pm Meet your driver and depart to Cape Wickham and check into your accommodation. 7:30-8:30am A continental breakfast is served in your room. 8:30am Check out of your accommodation. 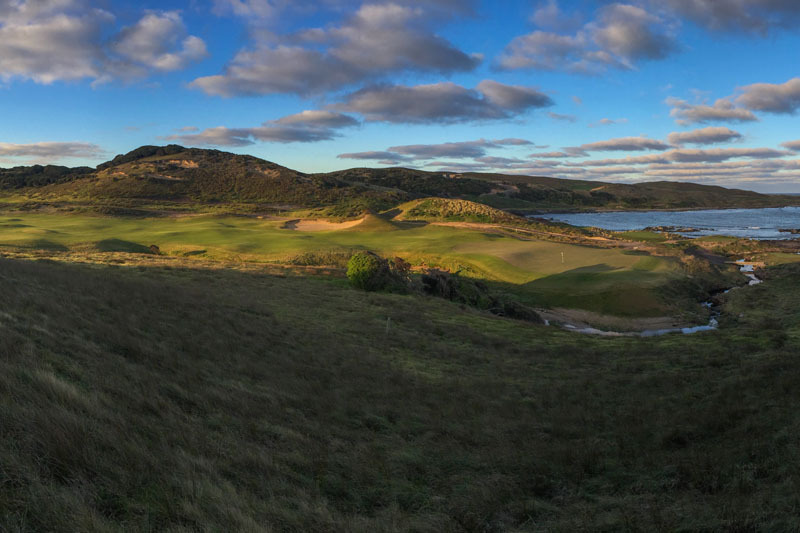 9:30/9:40/9:50am Tee off at Cape Wickham Links. 1:30pm Lunch is available at the clubhouse. 2:30pm Depart Cape Wickham for King Island Airport. 3:20pm Arrive at King Island Airport, and the team at Vortex Air will be waiting for you at the Terminal. 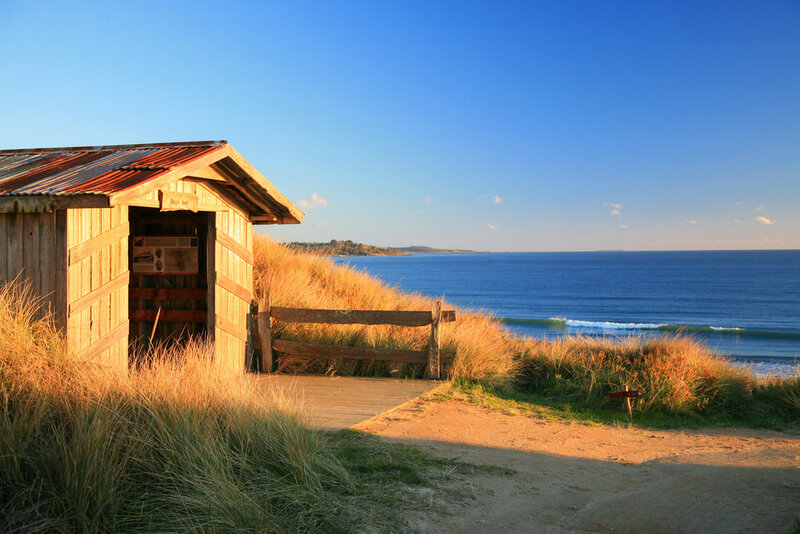 3:45pm Depart King Island Airport to Barnbougle in your private aircraft. 4:50pm Arrive at Barnbougle and be transferred to your accommodation. 5:00pm Check into your accommodation and enjoy the late afternoon at your leisure. 7:30pm Dinner will be served at Lost Farm restaurant. 6:30-7:30am Breakfast served at Lost Farm restaurant. 9:20/9:30/9:40am Tee off at Lost Farm Golf Course. 1:30pm Lunch will be available at Lost Farm Restaurant. 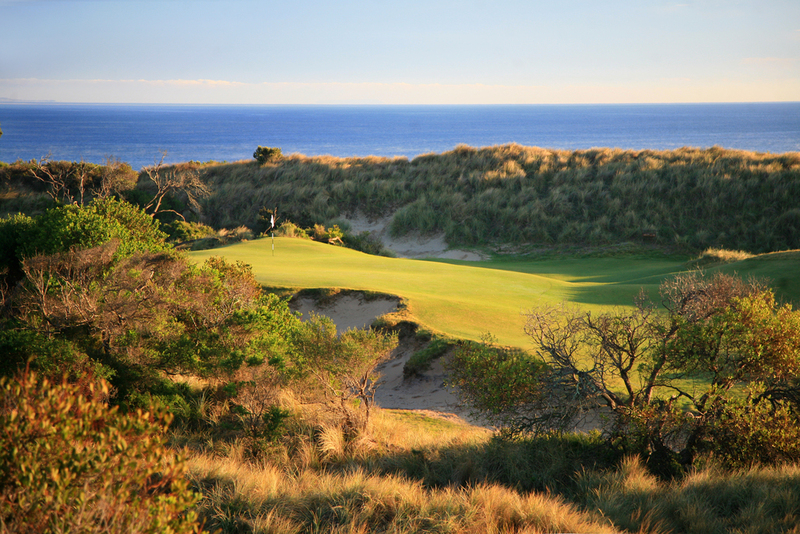 3:00pm Enjoy the afternoon at your own leisure, or have the option to play a second round at either Lost Farm or Barnbougle Dunes. Note: A second round of golf is NOT included in the package. 7:30pm Reservation for dinner at Lost Farm Restaurant. 7:00-7:30am Breakfast served at Lost Farm restaurant. Check out of your accommodation. Leave your bags by reception for the staff to load into the transfer vehicle. 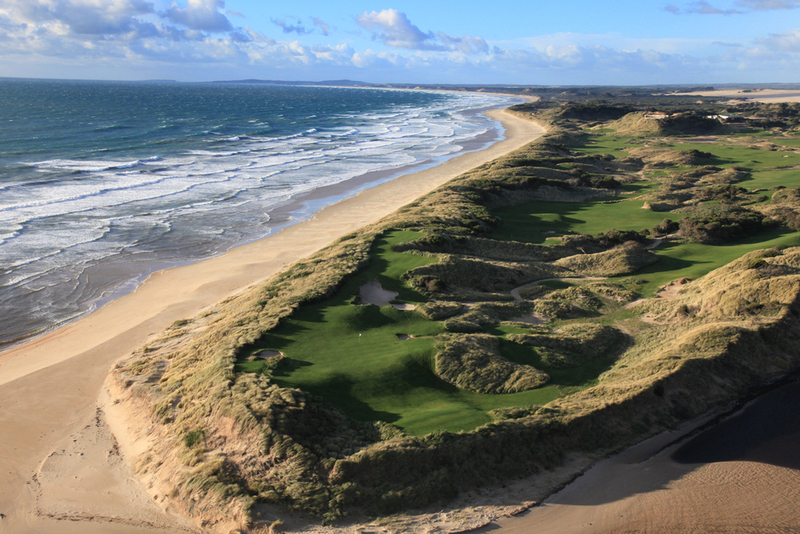 8:10/8:20/8:30am Tee off at Barnbougle Dunes. 12:30pm Lunch will be available at Barnbougle Dunes Clubhouse. Note: Barnbougle has a slightly more casual dining menu than Lost Farm. 1:10pm A shuttle will be on hand to transport you to Barnbougle Airstrip. The shuttle will already have the groups luggage. 1:30pm Depart Barnbougle Airstrip for Essendon Airport. Note: Essendon Airport is a 5-10 minute drive from Melbourne International, which will help everyone making their departure flight. 2:45pm Vortex Air will be happy to arrange a transfer for you to Melbourne Airport (Tullamarine) for your flight home. Eighth Wonder Travel's David Maxwell (top) and Samuel St. George (bottom) will be handling your booking from the Eighth Wonder Travel head office. Both David and Samuel will be on hand 24/7 throughout your stay in Australia.